Distinctive to San Angel Zurumucapio is the tradition of making small rose-decorated horses and dedicating them to those who died during the year. 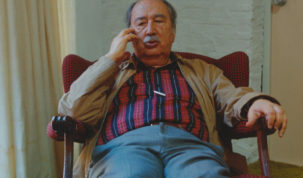 Several members of the community dedicate themselves to this work. The day before the celebration of the dead, men put the bodies of the horses together with rods; that night, during the vigil and next to the altar, they decorate them with roses. Sometimes carnations are used instead of roses. 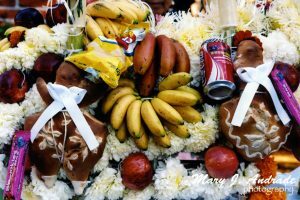 According to a local woman, Rita Caballero Ochoa, making the little horses is a tradition that people in the village keep alive, a tradition brought down from generation to generation. Depending on the number of dead in the village, the men establish a route to go from house to house and build the frames with laurel rods that are then tied together with hemp. Eighteen to twenty men design one frame: the head, the body, and the tail and then assemble the parts. Next, they decorate the frames with flowers, starting with the last house and finishing with the first house. 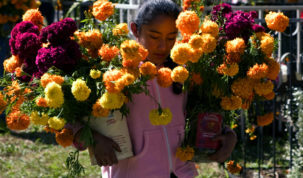 Placement of the flowers is done at night, so they stay fresh for the next day when the horses are taken to the cemetery. 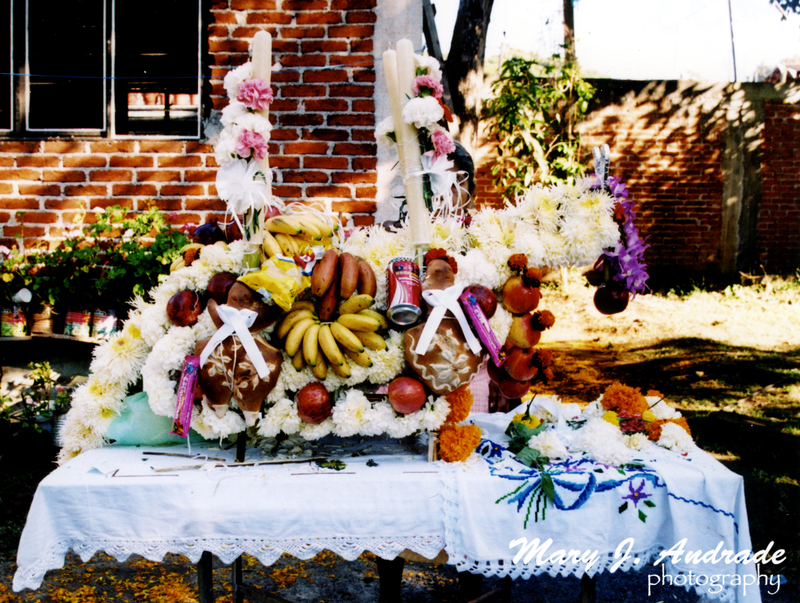 offer food to those who helped with the altar, decorated the horses, or stayed with them during the night. 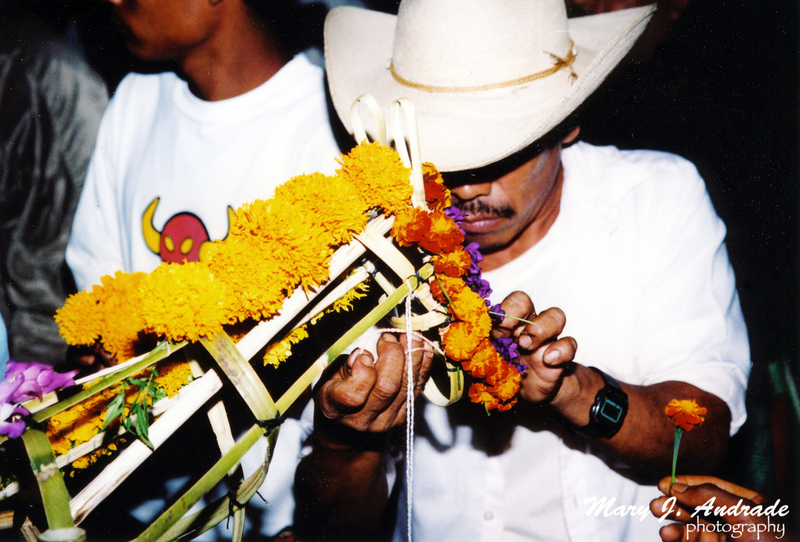 This ritual, like all of the ones related to Day of the Dead or Jimbankua, is part of a celebration dedicated to the dead. 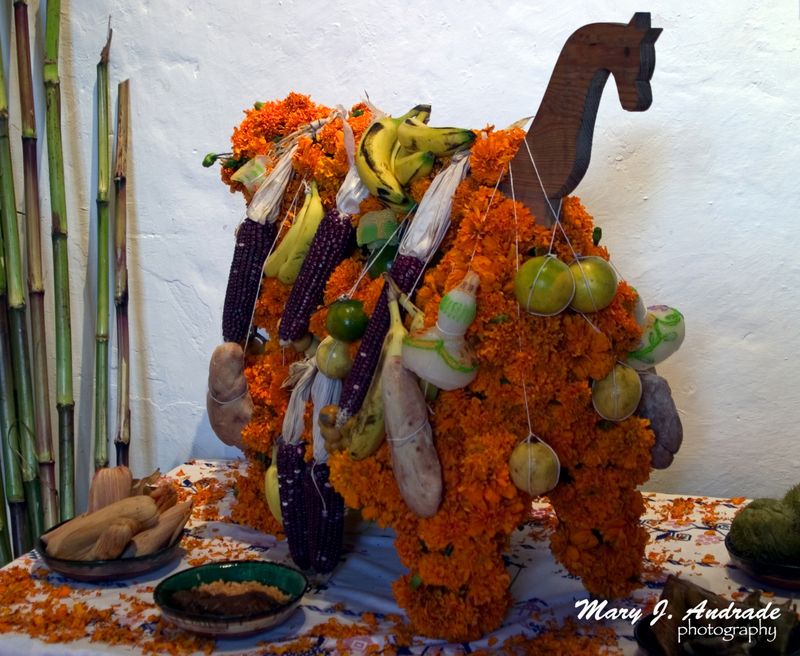 In San Angel Zurumucapio, the wooden horse is a key symbol in the celebration. It is as important as the altar. 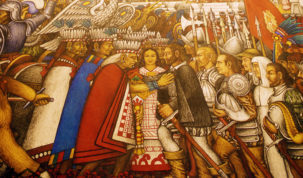 Similar to other villages, the night of October 31st is dedicated to the memory of the children, with a visit to the burial site on the morning of November first. The night of November first is dedicated to the adults with a celebration in the cemetery on November second.